Manufactured for competitive swimming, thus to deliver maximum performance and effectiveness, the Speedo Placement Powerback swimsuit designed for demanding ladies who enjoy athletic rivalry and a dose of stylishness. 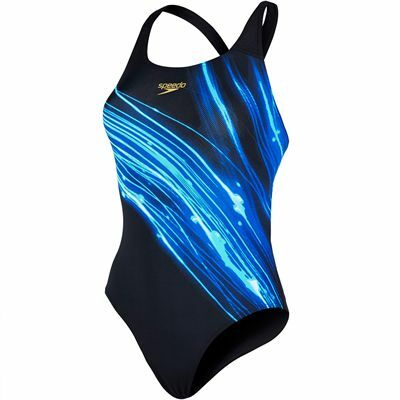 The costume features an open-back powerback style for enhanced and unrestrained movement in the water, plus it includes multi-directional fabric for superb fit and swimming leisure. Manufactured from swift-drying and snag resistant materials for high resilience, the swimsuit boasts Hi-stretch Speedo Endurance®10 fabric to ensure proper shape preservation for longer, whilst the Creora® Highclo™ system delivers advanced chlorine resistance to allow you for a more enjoyable time and confidence boost during competitive swimming pool sessions. for submitting product review about Speedo Placement Powerback Ladies Swimsuit.